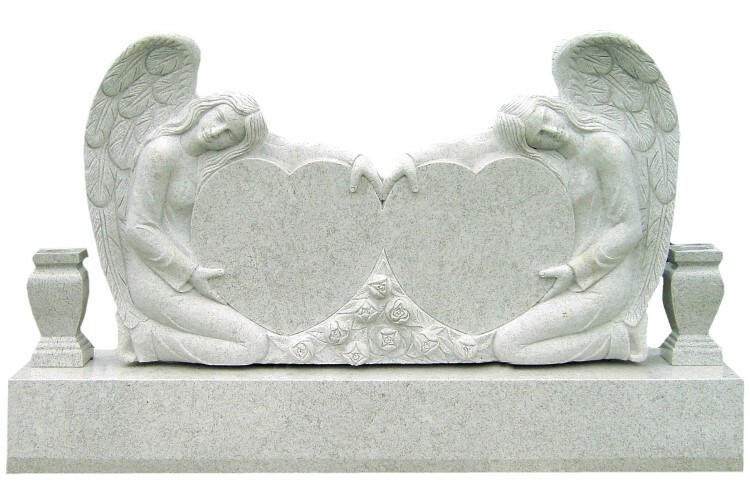 Even after walking through a cemetery or browsing images of completed monuments online, many of our clients don’t realize just how many customized options there really are when you purchase a monument. The specific type of “upgrades” available depends completed on the type of monument you are purchasing. However, one that applies to every monument we offer is the vase. 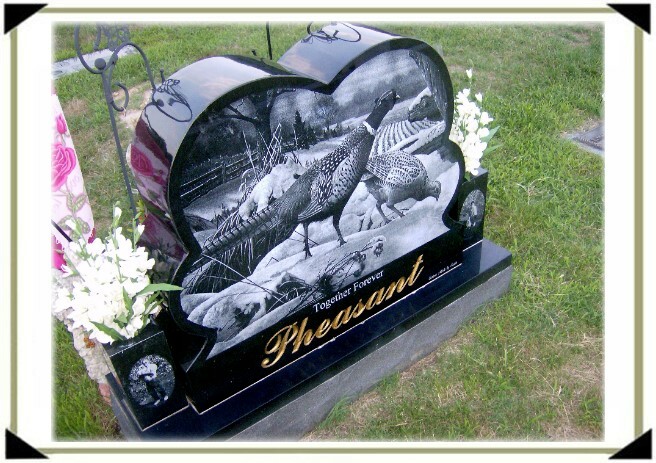 Whether you are purchasing a single flush marker or a large custom family monument, a vase can be added to the design and often helps to complete the look of the monument. Should I Add a Vase? 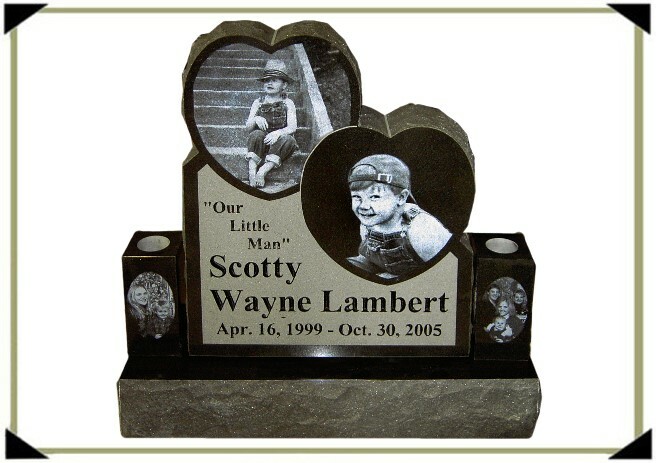 When deciding whether or not you should add a vase to your monument, there are a few things you should ask yourself. The first and most important is: Am I allowed to add a vase? I have discussed the rules and restrictions that many cemeteries place on what can and cannot be used on plots within their cemetery. These restrictions may state that a vase is not permitted. 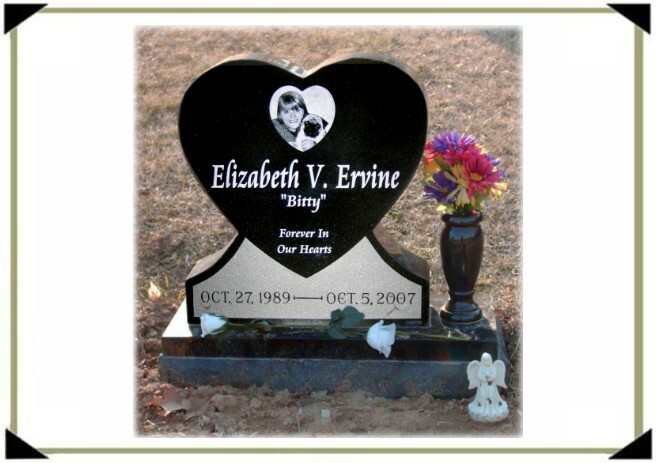 Typically, you will find that cemeteries which only allow flush markers are the only ones which may have a problem with a vase being added to the marker. In most other cases, the cemetery will allow the vase, but may still have restrictions you will need to follow. Before going any further in the decision making process, you should first verify this information. 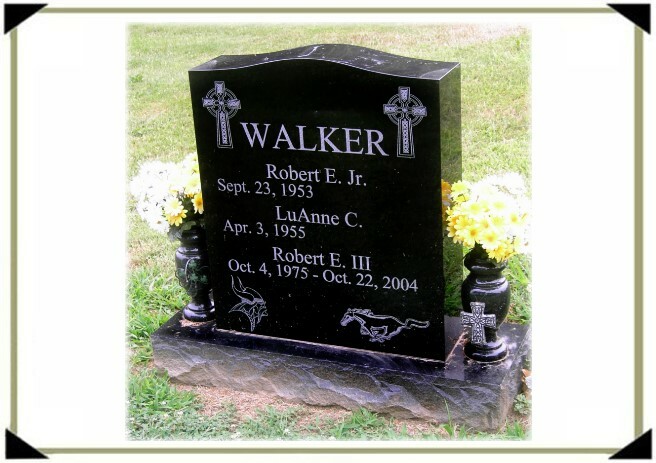 Here at Mike’s Laser Etching/Sartin Memorials, we typically advise our clients to not only request a complete list of rules and regulations PRIOR to purchasing a plot in any cemetery, but to continue to request a completed list on a regular basis. This will ensure that you are aware of all restrictions, even new ones which may have been put into place after you purchased your plot. Once you have checked to ensure that you are permitted to add a vase, you should then ask yourself: Am I going to use the vase? Do you currently drop flowers off at your loved one’s resting place? If not, would you if you had a vase to place them in? It is also important to remember that you can purchase artificial flowers to place in the vase if you are concerned about the vases being empty in the winter or if you cannot commit to visiting the cemetery often enough to keep fresh flowers and do not want the real flowers to wilt in the vase. The artificial flowers that are available now a days look so real that this is an option that many of our clients choose. Also keep in mind that there are vase options which will allow you to only use the vase when you choose to, storing it away when there are no flowers in it. Continue reading for more information on these options. What Type of Vase Should I Choose? In general, there are two types of vases to choose from. The first, and the most common, is the Granite Vase. 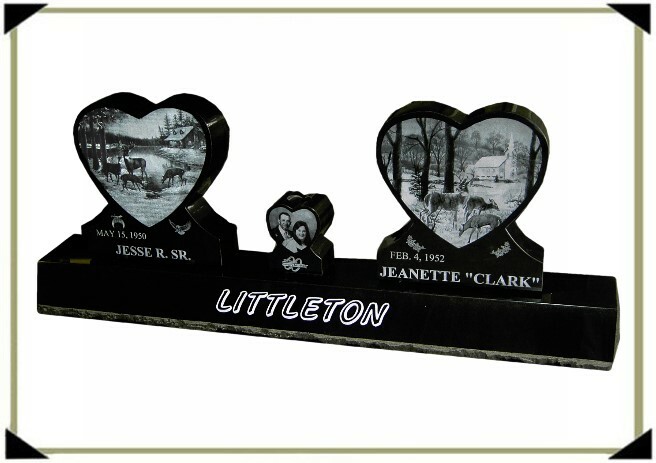 These vases come in a variety of shapes, sizes and colors and can be added to existing monuments. Clients will typically place either one or two vases, depending on the type of monument and the space available on the base. A granite vase is stationary and will collect rain water. In order to prevent the water from freezing, expanding and then cracking the vase, each granite vase has a small hole in the bottom back to allow the water to drain. However, because the hole is not at the very bottom, the vase will still hold enough water to keep cut flowers fresh for an extended period of time. 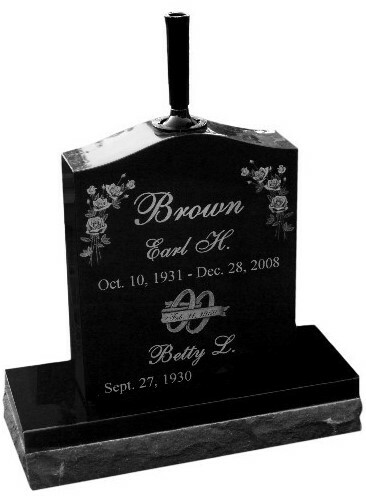 Because a vase is not typically required by a cemetery, it is completely up to the individual client’s preference. The plus side to this is that when the vase is not in use, you can flip it over and drop it down in the monument. The cemetery may have restrictions as to when the vase can be upright. As I mentioned earlier, it is always important to request a full list of their rules and regulations. As with the granite vases, metal vases are available in a variety of shapes and sizes. However, in addition to the typical colors, such as black, gray and pink, the metal vases are also available in colors such as green, red and gold. These colors allow for a bit of extra personalized touch. Unfortunately, it is not as simple to add the drop down vases to an existing monument as it is the granite vases, as a hole must be drilled in order for the vase to sit in the monument and drop down correctly. Therefore, we only recommend the metal vases for new monuments. 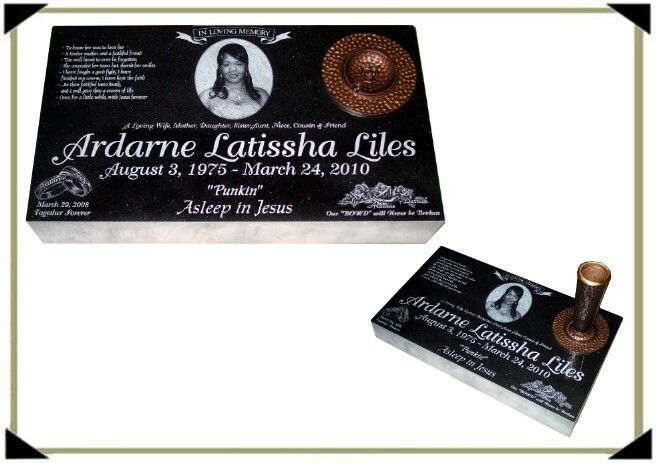 Contact us toll free at 877-836-0332 or by email at info@mlestones.com for additional inforamtion or to place your order! 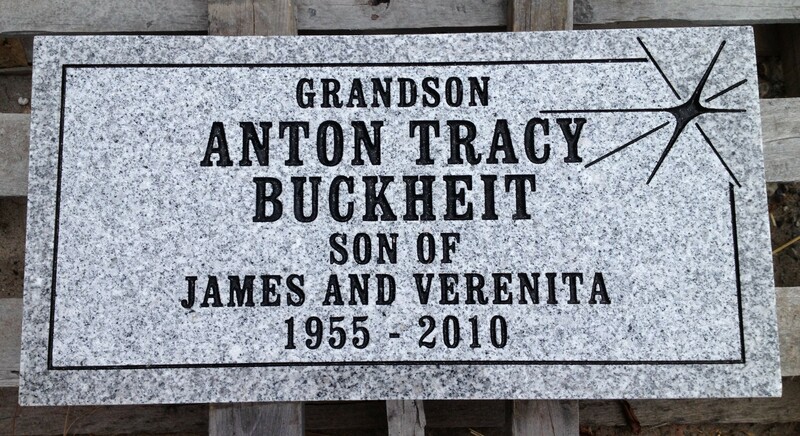 Here is the completed monument for Anton Tracy Buckheit! Feel free to share the link with your friends and family. Keep in mind that this picture was taken before the stone was installed in the cemetery.